VLC is a free and open source cross-platform multimedia player and framework that plays most multimedia files as well as DVD, Audio CD, VCD, and various streaming protocols. 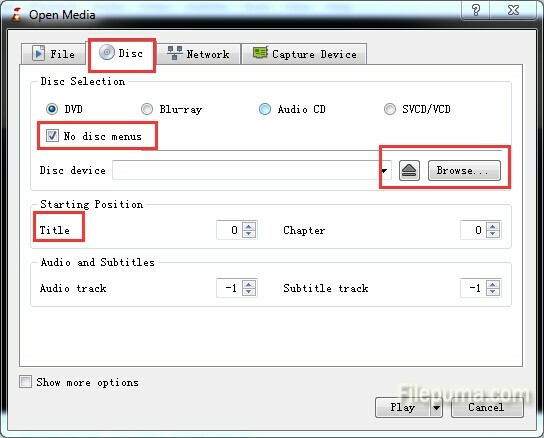 Here is the instruction to tell you how to rip DVD with VLC Media Player. 2. Click “Media—-Open Disc”. “Open Media” window will appear. 3. Select DVD and check “No disc menus”. Choose your DVD drive and select which Title contains the full length movie. Click Play. 4. With “New Destination” set to File, click Add. Browse to choose the type you want to save. 5 Select the Profile for Encapsulation Method. Click Stream.